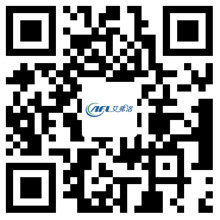 The Difference Among Centrifugal Fan, Axial Fan and Mixed fan - Hangzhou Airflow Electric Appliances Co.,Ltd. A mechanical fluid driven machine that relies on the input mechanical energy to increase the pressure of the gas to send the gas side by side. Centrifugal fan is widely used in: the factory, mine, tunnel, cooling towers, vehicles, ships and buildings ventilation, dust removing and cooling; the boilers and industrial furnaces ventilation and air conditioning; cooling and ventilation of equipment and household appliances; the grain drying and selection; inflator and propulsion of wind tunnel and hovercraft. The air flow is in the same direction as the axis of the blade, such as an electric fan, an air conditioner, an external fan, an axial flow fan. The reason for the axial flow is that the gas flows parallel to the crankshaft. Axial fans are usually used in situations where the flow rate is high and the pressure requirement is low. Features: small axial fan: low power consumption, fast heat dissipation, low noise, energy saving, environmental protection and so on. It is widely used because of its small size. Large axial fan: it has the characteristics of simple structure, stable and reliable, small noise, large air flow and wide range of function choices. The fan between the axial fan and the centrifugal fan, the impeller of the diagonal fan allows the air to do both centrifugal motion and axial movement, and the motion of the air in the shell is mixed with two kinds of motion, axial and centrifugal. It combines the characteristics of axial and centrifugal fans, although it looks more like a conventional axial fan. The curved plate blade is welded to the conical steel hub. Change the flow by changing the angle of the blade in the upper inlet housing of the impeller. The casing can have an open entrance, but more commonly, it has a right angled bend to allow the motor to be placed outside the pipe. The excretory shell expands slowly to slow down the flow of air or gas and converts kinetic energy into useful static pressure. Mainly used in mine ventilation and tunnel ventilation.